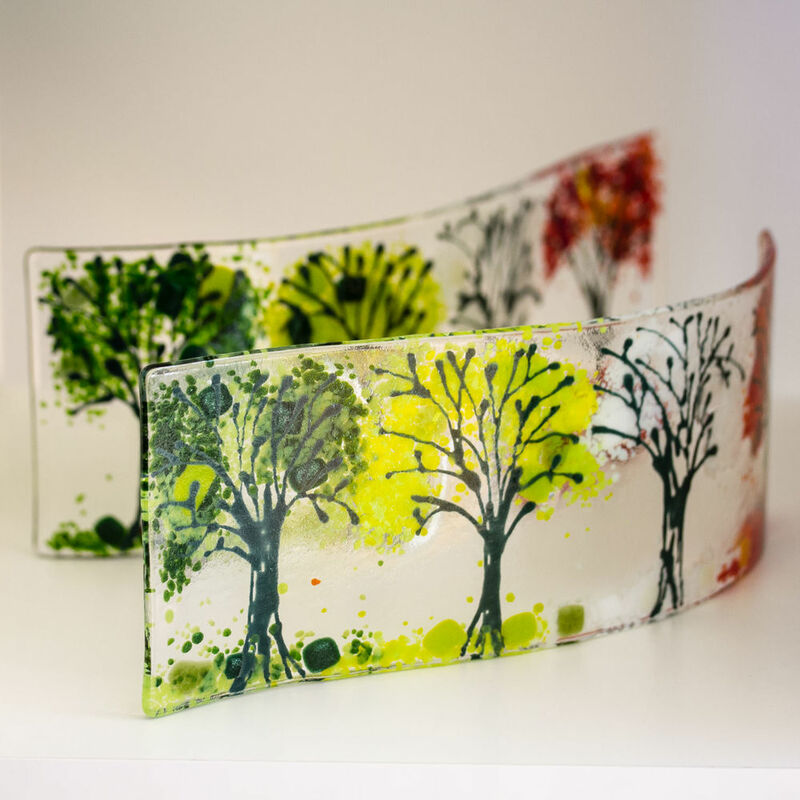 From my studio in Broomhill, nestled in the glorious Northumbrian countryside, I celebrate my love of all things glass. Exploring themes, colour, shape and texture, I create my own unique artwork as well as create bespoke pieces for a growing number of clients. A former teacher, I still enjoy helping others learn and run a variety of workshops for all abilities. wall panels, windows, kitchen & bathroom splashbacks and other items on commission. I love sharing what I know with others and offer a range of workshops for beginners and more advanced. These include intensive days, shorter taster sessions and private parties suitable for young and old at all levels of experience. 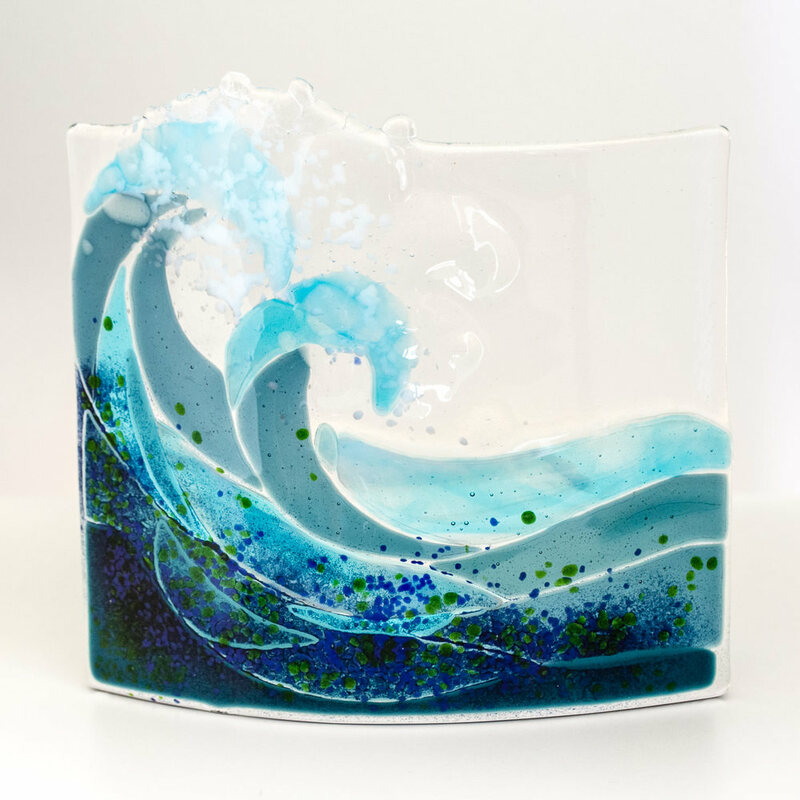 I have a small selection of fused glass art available to buy online, including small versions of my signature wave sculptures. Perfect gifts for glass lovers everywhere.